Its annoying that now its impossible to enable or disable 3d with ctrl+t or adjust depth and convergence using keyboard. Control panel at the bottom of the screen dont look good when you increase convergence or depth, looking like world of warcraft . They have added more 3d elements on screen, but they need to do a better work for sure. After testing again the game, now i can use keyboard for setting 3D depth and convergency. Enable and disable is working from keyboard too. 3D effect is much better doing the set up from keyboard and not in the SC2 menu. 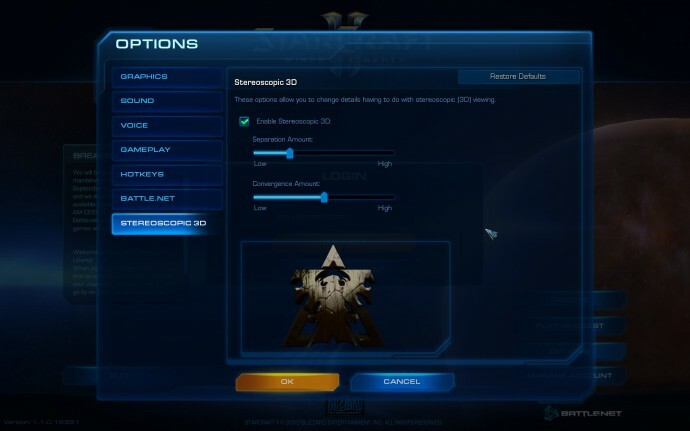 Just disable 3D effect in SC2 menu and do everything from keyboard. Is there any way to activate the 3D support via config file or parameters manually? I use iz3D drivers and would like to try out whether this would cause some improvements. with nvidia 3d vision i can deactivate 3d in the game and activate it via keyboard. If you have the choice to activate 3d with keyboard, try it while playing. I can use 3D, but I would like to try whether I can profit from the nvidia fix, as the lighting is buggy with iz3D. 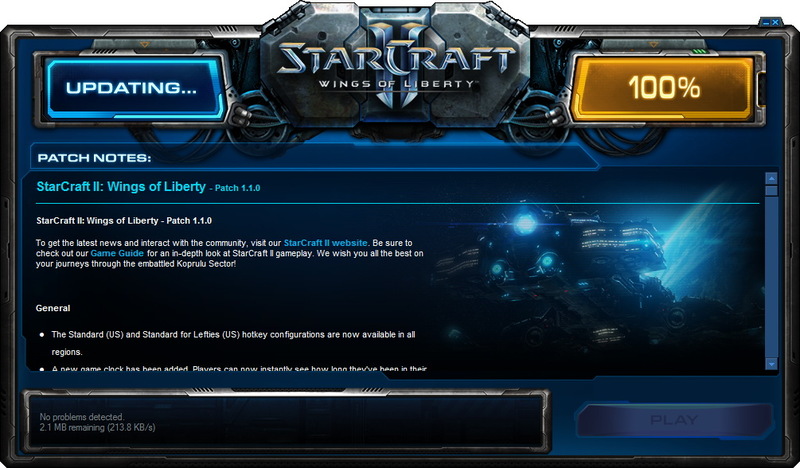 But as it’s a fix for NVidia, StarCraft doesn’t recognize iz3D driver. I look for a possibility to enable the optimization although there is no active NVidia driver. Thanks for your blog, it’s really intersting! But i’ve got a problem when i’m trying to see your stracraft video. The Nvidia 3d VisionVideo Player won’t show it. I’ve got the sound, but that’all. It’s the last version and i’ve got the last codecs installed. There is a special confiuration?